There are red cars, white railings, colorful billboard, etc. Things in the world have a rainbow of colors and make a person cannot help to sigh the world colorful. Thanks to the existence of pigments, we can say goodbye to black and white ashes. Molybdenum has a rich chemistry performance and many of its salts are colorful and widely used as pigments for ink, paint, plastics, rubber, glass, and ceramics. Molybdenum pigments are healthy and environmentally friendly, giving you a healthy and comfortable environment, and are replacing the toxic lead and chrome paint. 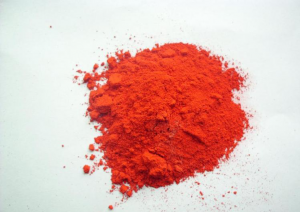 Molybdenum red, also known as molybdenum orange, molybdenum chromium-red, lead molybdenum chromium-red orange, is an inorganic pigment containing lead molybdate, lead chromate and lead sulfate. It is brightly colored and has a full-color spectrum, with light and thermal stability, ranging from bright red-orange to red-yellow. Besides, it has high coloring power and covering power, high oil absorption, excellent water resistance, light resistance, flux resistance, and dispersibility. Moreover, it’s also very affordable, which is relatively low among all paints. Molybdenum red with excellent performance is suitable for the preparation of large mobile machinery, vehicles and large outdoor equipment paint, such as Bridges, civil machinery, vehicles and so on. It can withstand the long-term wind, sun, and rain, and ensure its surface is bright without “orange peel”. Besides, molybdenum red is also a kind of important inorganic synthetic pigment, can be used for plastic, paint, ceramics, rubber products, such as ink stains. Every year, a lot of steel is discarded because of corrosion and rust, and the economic loss is difficult to measure. How important a rust-proof paint is! Zinc molybdate is a white non-toxic antirust pigment and is generally powdery. Its dry powder is light yellow or white. It is moderately priced and can replace toxic rust-resistant paint containing lead and chromium without affecting the cost of making the paint. It produces a white primer, which replaces titanium dioxide and is widely used as a primer, topcoat, and ground bonding primer. 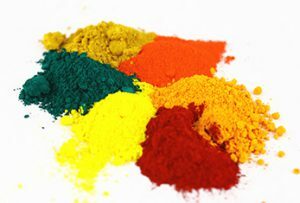 The most common inorganic yellow pigments in the world today are chromium yellow and cadmium yellow, but lead, chromium, and cadmium are highly toxic. Molybdenum yellow is not only non-toxic but also has a bright color, good photothermal stability, thus applicable to the manufacture of a variety of products including ordinary paint, high paint, architectural paint, etc. In addition, molybdenum yellow can also prepare civil and engineering plastic products as well as color wax products and colored graphite. Still afraid the paint is poisonous? It’s too expensive? Not useful? With molybdenum pigments, all this trouble was gone. If you want to know other molybdenum products such as molybdenum plate, molybdenum crucible, molybdenum rod, molybdenum alloy and so on, please visit http://www.samaterials.com for more information.